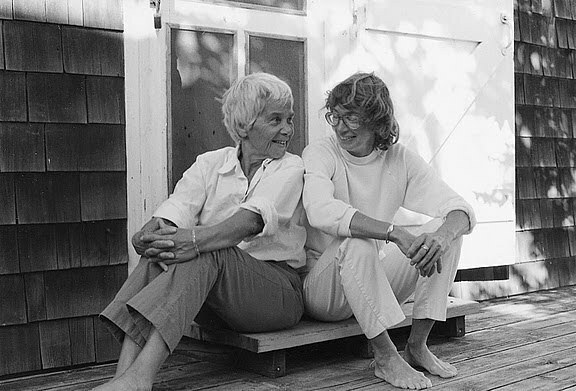 I had heard of Mary Oliver through Brainpickings.org and I was in love with her poetry. There is something to it, which I cannot attach a word to. I am sure other readers of her poems will agree with what I have to say. However, the book read first in the month was not her book of poems. It was more of a memoir and not quite that. It was a book on her life with her partner of forty years, Molly Malone Cook. “Our World” is the name of the book. The title is so apt, more so when the works of both people are merged, then the result is something so deep, personal and emotional. “Our World” is a book that demands to be savoured and read in gulps. The photographs shot by Molly and the words provided by Mary are so complimentary that you cannot take one from the other. Molly was Mary’s partner of forty years, as I mentioned before. This book is almost a dedication to her, as she passed away from lung cancer. Mary remembers the moments spent without being too sentimental about them. She remembers their life (funny how two lives when combined become this one singular entity of love and everything hopeful) together and the small and the big things. I think that is life after all – the good life – the life spent together and there is nothing else to it then. Molly’s photographs talk of reality. They speak to the reader/viewer of simplicity and kindness. They radiate joy. Mary invites us to her most personal aspect – the relationship she shared with Molly. Every face in the photographs is communicated. Every word that Mary writes is enchanting. Not to forget some pieces from Molly’s journal towards the end that leaves a lump in the throat. Read this book just so you can believe in togetherness all over again and if you already do, then it will just reaffirm it for you. 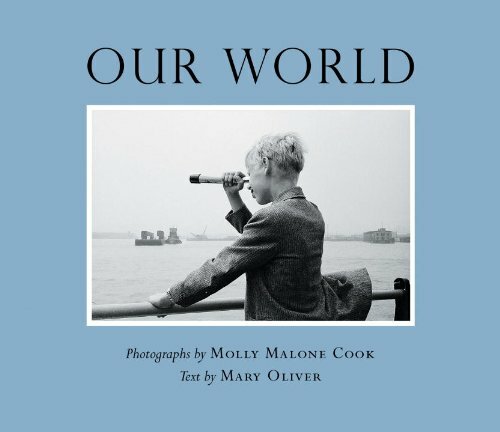 This entry was posted in Beacon Press, Books, Mary Oliver, Poetry, Review and tagged Beacon Press, Mary Oliver, Molly Malone Cook, Our World, Photographs, Poetry, Prose, Togetherness on April 2, 2015 by thehungryreader.